Design Brief: This high tech home combines 19th Century Grandeur with the latest AudioVisual technology. 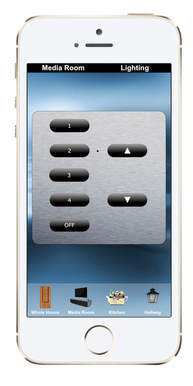 The Client has many homes and required a system that was completely intuitive, particularly as he and his family would be there infrequently. The large Master Bathroom required a waterproof TV unusually located onto an arm given the size of room and the desired viewing angles! The Outhouse for the staff also needed to be provided with access to security cameras and the Internet. 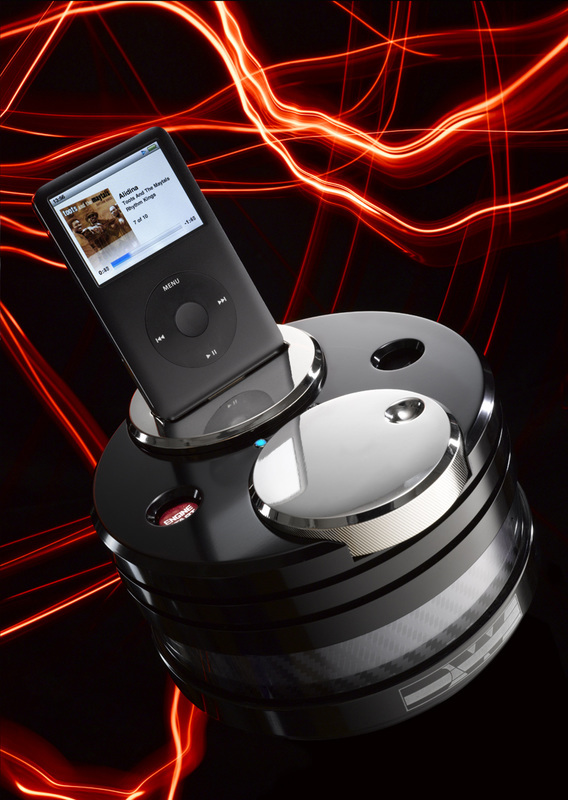 Wow Factor: The conversation piece alluded to above was a combination of a Ferrari speaker and matching iPOD dock - both of which are exclusively distributed by The Pleasure Home in the UK. 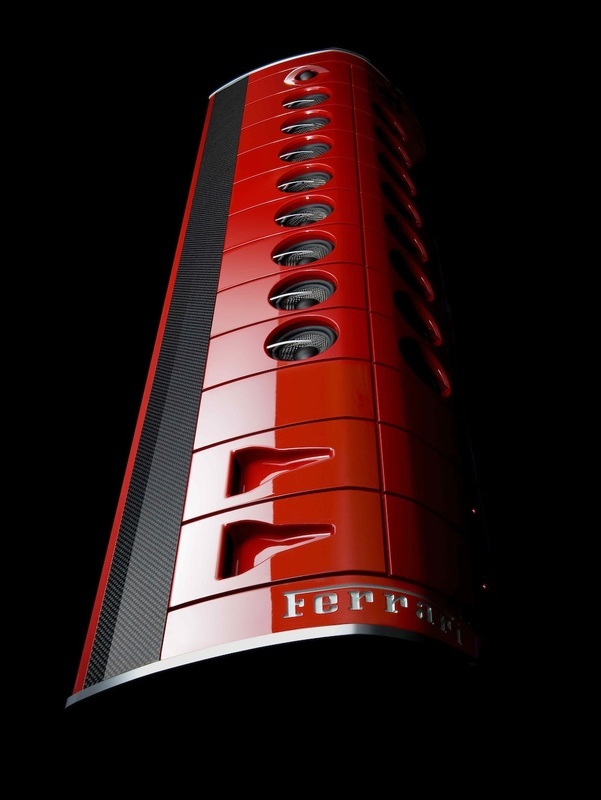 The Ferrari speaker is only available in Ferrari paint finishes (naturally!) and is one of only 999 in the world. Garden Parties: The very large garden was to be wired for sound throughout for Summer parties, so a number of waterproof speakers were discreetly located in the garden borders. Given the size of the lawn area the sound fills the area quite impressively. VideoConferencing: Finally, the basement houses a large Conference room which required a full HD Polycomm system to be installed and commissioned together with a ceiling- based microphone system (so that the expensive inlaid wood desks would not be touched!) together with another 65 inch TV. System Reliability: A high degree of fault tolerance was built into the installation, so that in the case of a breakdown of components, the systems could still operate in the other Rooms in the house. 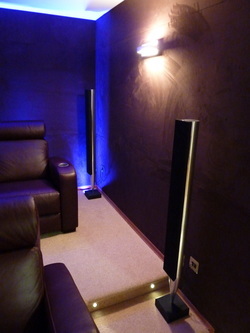 ARCAM audiophile amplification together with Morel satellite speakers and B&W in-ceiling were deployed throughout to achieve the very highest audio quality. Studio Quality TVs: A special 65 inch TV was installed in the Living Area and Conference Room, only available to high end custom installers and rated by many in the know as the 'best large screen TV in the world'! 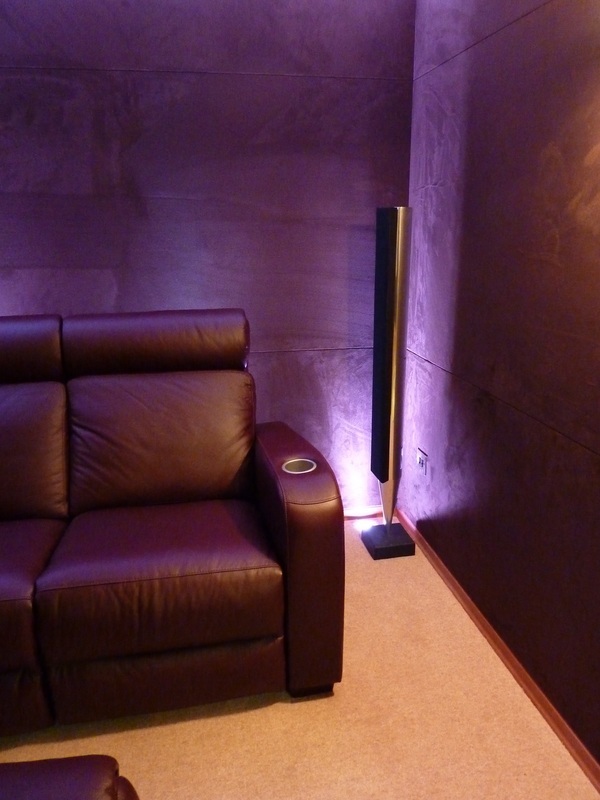 Acoustic Optimisation: The walls of the home cinema was finished in a velvet fabric that not only looks stunning but also improves the sound in the room. 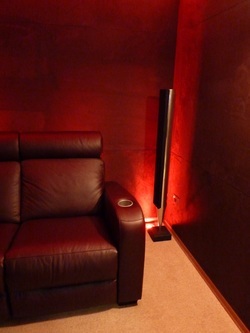 The only caveat on the Cinema room installation was that we had to integrate the client's existing B&O speakers into the Cinema Room Installation and therefore had no choice on the amplification or loudspeakers. Multi-room Audio: For ultimate ease of use and redundancy, we installed a Sonos multi-room Music Jukebox system throughout the house, which can be used completely independently of the rest of the system. Whether you are a Developer or a Property Owner, wishing to increase the value or/and the saleability of your Property - contact The Pleasure Home for some practical advice!